Have fun, save money and help us! It's easy to get involved and make a difference! Your business can help us and get some great promotion at the same time. Donate fun experiences and we’ll provide you with some excellent promotion to a group of affluent group of our supporters. We’ll promote your business on this website as well as at any fundraising galas that we hold throughout the year. In addition, you can donate unique incentives that we can use to motivate potential buyers to take a vacation or take a foursome out to the golf course. Example incentive - "Buy any foursome of golf and enjoy dinner for two at Johny’s Steakhouse!" Tell your customers about our fundraiser(s), link to us from your website(s) and social networks. Encourage your customers to "Go, have fun and help A Boy and His Dream". Tell your facebook fans, twitter followers, send an email, etc. Once you partner with us by donating prizes and/or promoting our fundraising initiatives to your customers, we’ll display your logo and paragraph about your business on this website. 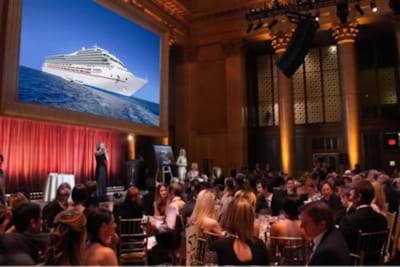 You’ll also receive recognition each time we award prizes and incentives that you’ve provided and anytime we have a fundraising gala featuring an experience that you’ve donated.